This entry was posted in News on August 10, 2018 by . Clogged drains always seem to pop up at inconvenient times. Or they build up so slowly over time that we do not even realize it is clogged until we notice the water level is at our ankles during a shower. It can be difficult to check your drains for clogs since for the most part the issue is well below the drain so it is all out of sight and out of mind until a problem arises. Before you run up to the hardware store for some Drano, it is important to note that most clogs are actually signs of a problem with the sewer line. Every household has a main sewer line that transports water and waste to the city sewer. When there are issues with the main line, it often affects the drains in your house. When your standard household sink appears to be clogged, keep in mind that there could be a variety of causes and you may find that focusing on the bigger picture will save you time and money in the long run. Does Your Drain Always Seem to be Clogged? Keeping chemicals on hand to tend to your recurring clogs is probably one of the worst things you can do. While they seem to be an easy and affordable way to tend to a clog, they really only patch up the problems. It uses a lot of harsh chemicals to break down grease, hair, or whatever mess is causing a back up and pushes it down. This is problematic because the chemicals remain in the system for much longer than people realize and can break away at pipes. And that clog might just end up in the main sewer line and create a bigger issue, and more clogs. If your clogs seems to come back over and over again, then you definitely should consult a professional and do not pour any more chemicals down your drain. Even if the clog seems to be tolerable and does not impact your daily activities, leaving clogs or allowing clogs to come back over and over can lead to some expensive hazards. For one, there is the health risk of leaving waste, mold, or mildew around for people to inhale. Allow that clog to come back also invites bacteria and make it so that the water build up ends up escaping elsewhere into the home. It can break down pipes and create leaks, or cause rot within the walls if left unattended for long enough. While breaking up the clog, or pulling the wad of hair and gunk out might seem to solve the problem, that clog still got there somehow in the first place. This is why checking the sewer line is crucial when it comes to clogged drains. Just like with our own health, sometimes covering up the symptoms does not make the problem go away. When My Plumber CA inspects a sewer line, we make sure to take every step and precaution to determine the source of clogs and other problems. Problems in your main drain line that might be creating regular or nasty clogs could simply be years of debris accumulating deep into the line over time, or it could be a sign of a new tree root spreading out. A sign of a large scale problem like this would be in every drain in your home started to slow, even by just a fraction. When we examine the main line, we perform a video inspection to get a look inside the line to determine the problem. Opting for a trenchless sewer lining can very likely end up fixing all of your drain and clogging problems without much delay or disruption. A trained plumber can install a pipe liner, which puts a tube coated with resin into a damaged pipe. When the resin sets, it is fused with the existing pipe and makes it corrosion resistant. The best part? The plumber would only need to dig one access hole into the landscape in order to set up a pipe liner. If there is more significant damage, pipe bursting might be the most sensible option. This process takes a brand new pipe and goes into a pipe that has collapsed or is damaged. The old pipe is broken apart, whereas with pipe-lining it creates a pipe inside of another pipe. This does require additional access holes, but your entire lawn is not going to be ripped up to get the job done. Trenchless sewer lining is extremely effective and tends to be a faster fix than traditional trench replacements. Most importantly, it can actually save you time and money in the long run. Rather than tending to small problems as they arise, trenchless sewer lining can tend to the source of the problems and help drastically increase the life of your plumbing system. You will see better performance and less problems, which saves you a lot more hassle later. Plus, it is not as invasive as repairs and replacements that require giant trenches across for your yard for an extended period of time. In fact, repairs usually take less than a day depending on severity without ruining your landscaping. The best part is that this is a permanent solution to many common complaints and can extend the life for 50 years. 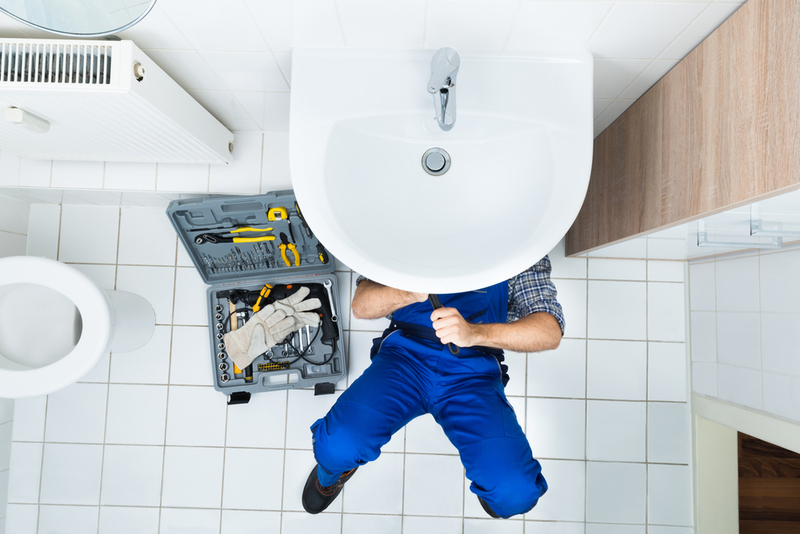 My Plumber CA is the leading plumbing expert in the San Diego area. We do not just want to be your plumber when problems arise, but we want to help you get the most out of your plumbing system without breaking the bank. We especially do not want you to have to use our emergency services, although we will be happy to help if you do. We want your plumbing to reliable and long-lasting, which is why we do our best to educate our customers about the services we provide. Should you require a trenchless line replacement, you will be invited to observe the video of your sewer line with us so you can see exactly what we see. Additionally, we guide our customers to have the support the need once we leave. Our blog contains tons of information for common problems, as well as how you can perform routine and simple maintenance on all your drains and plumbing to help prevent significant problems. Check out the blog, or contact us at 619-447-5556 and we will be happy to support you in any way that we can.